Our parish is named in honor of the patron saint of those in great need – those whose causes appear hopeless. Our patron St. Jude definitely came to our aid in the creation of our church. 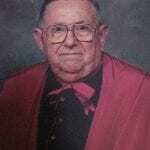 In 1959, after many years of prayer, the catholic citizens of Glen Dale convinced Archbishop John J. Swint of the Diocese of Wheeling-Charleston to purchase nearly 16 acres of land along Little Grave Creek in Marshall County for a new parish. These forward-thinking faithful referred to themselves as the St. Jude Club. While the diocese agreed a new parish was needed for the families of Glen Dale, buildings are not constructed overnight – more work needed to be done by the dedicated group. Still steadfast to their petitions to St. Jude, the families watched nearly a decade slip by before their vision became concrete reality. The fruit of their labor was evident, when Bishop Joseph Hodges appointed Rev. A. James Myles on Sept. 3, 1968, to lead the Glen Dale community. While waiting for the church to be constructed, Masses were celebrated at several locations around this small river town, including the former Marx Toy Worker’s Hall, homes of parishioners, the garage of an apartment building, social rooms of family owned bars, the fire hall, and the park. It didn’t matter where Masses were celebrated, the families of St. Jude came. The pioneers, if you will, of the parish truly understood that church doesn’t necessarily mean a building, but rather a community of the faithful. The Club raised $18,000 to begin the construction of a rectory and a multi-purpose building (that would initially be used as a church). The first Mass in the original church was celebrated on August 15, 1969. The parish family continued to make financial sacrifices, remaining dedicated to raising funds through a variety of events in order to later build a pavilion and shelter for picnics, and ball fields. The park would be a great gathering place for the young and old, and both catholics and non-catholics. The group wanted a park where all would feel welcome to enjoy the great favor of St. Jude. While the first church served the parishioners well, the drive to construct a permanent church continued to be the priority. 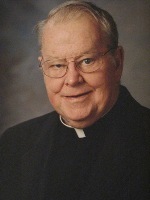 Father Myles served St. Jude until 1979. 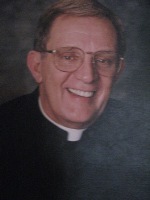 Monsignor Joseph W. Wanstreet was named the second pastor of the church. After a generous bequest from the Marie Gardner Estate in 1983, Monsignor Wanstreet, lead another fund raising push to get a formal church. 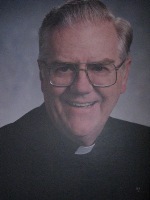 Monsignor Wanstreet retired in 1989, and was replaced by Fr. Leroy O. Beyer. 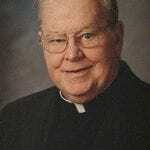 Father Beyer served six years in Glen Dale. 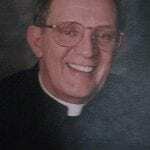 In 1995 he also retired, and was replaced by Father William Stenger. 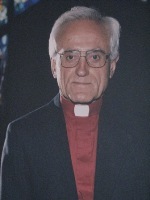 Bishop Bernard Schmitt replaced Father Stenger with Father Thomas Schiffer in 2002. 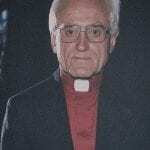 The congregation was lead by Father Schiffer until his death in 2008. Bishop Michael Bransfield appointed Rev. 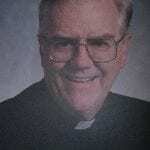 John Gallagher in the spring of 2008 to lead us as our pastor until the spring of 2011, when Bransfield transferred Fr. John to serve the catholic community in Vienna, WV. Appointed to serve the people of St. Jude Parish was our seventh pastor Rev. Ewards Stafford, T.O.R. 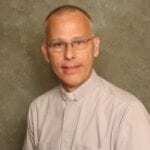 The parish was also granted its first associate pastor Rev. Ranjan Ekka, T.O.R. Both men are Franciscan priests, part of the religious community of St. Francis Fathers. In addition to serving St. Jude both served the parish of St. Francis Xaiver in Moundsville, with associate pastor Rev. Terry Adams, T.O.R. Diocese of Youngstown, Ohio. Rev. Ekka was appointed as administrator to both St. Jude and St. Francis, and pastor for Bishop Donahue High School. 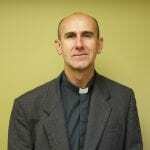 As of Sept. 25, 2012, the Diocese named Rev. Symeon Galazka, OSB as associate pastor of St. Jude and St. Francis. Fathers Ekka and Galazka also minister to the WV Norther Regional Jail. First Pastor at St. Jude Church: Rev. 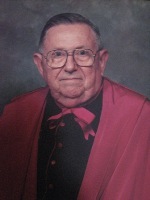 A. James Myles, serving from 1968-1979. Pastor from June 2011 to June 2012 Rev. Edward Stafford, T.O.R. Associate Pastor Rev. Symeon Galazka, O.S.B.